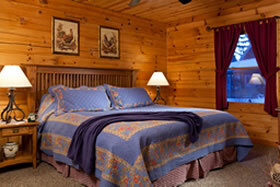 Our romantic cabins were built to give our guests the ultimate getaway experience. 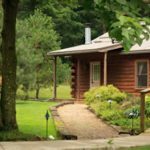 Tucked into the woods behind the inn, our log cabins in Amish Country Ohio offer luxurious privacy and seclusion for your vacation. Snuggle on the sofa in the large living room with the fireplace burning, watching movies together, or sharing a romantic dinner basket for two. 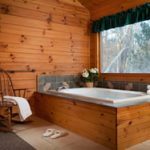 Watch the firelight flicker on the cathedral ceiling while you relax in the oversized Jacuzzi-style whirlpool tub for two, or simply look at the stars through the picture window facing out into the woods. A separate spacious bedroom has a king-size bed appointed with luxurious linens. The fully stocked snack center has a microwave, refrigerator, coffee maker, and bar sink. Each cottage has a full bathroom with shower. 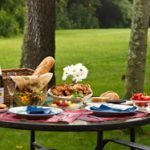 In the summer, a private deck behind the cabin is perfect for sunbathing, relaxing, or enjoying a romantic picnic basket for lunch or dinner. 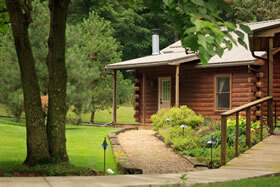 Our log cabins are excellent for couples to enjoy every season here in Amish Country Ohio. The Acorn Cottage has a ramp for wheelchair access and a shower with bench and adjustable shower head. For guests who are unable to negotiate the steps into the inn dining room, meals can be delivered to the cottage. Snack centers are stocked with soft drinks, bottled water, microwave popcorn, chips, coffee, tea, and hot chocolate. 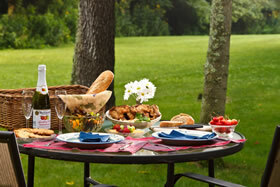 The inn kitchen can provide fruit and cheese plates or romantic dinner baskets. Wi-Fi access is available at the inn. 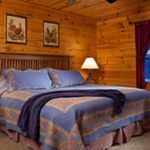 The Acorn and Pinecone log cabin cottages provide the privacy, relaxation, and peaceful setting that every romantic getaway needs. 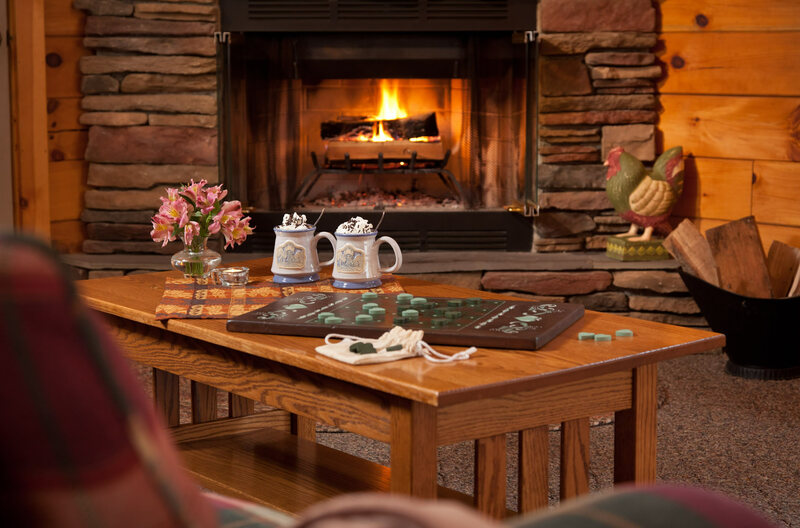 Our Amish Country Ohio log cabins are the perfect way to experience the area and unwind. *Rates based on double occupancy. 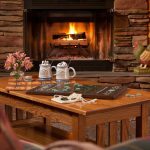 Cottages can accommodate a maximum of two additional guests at a rate of $50 per person per night. All guests must be a minimum of 12 years of age. Pets are NOT permitted in cottages.